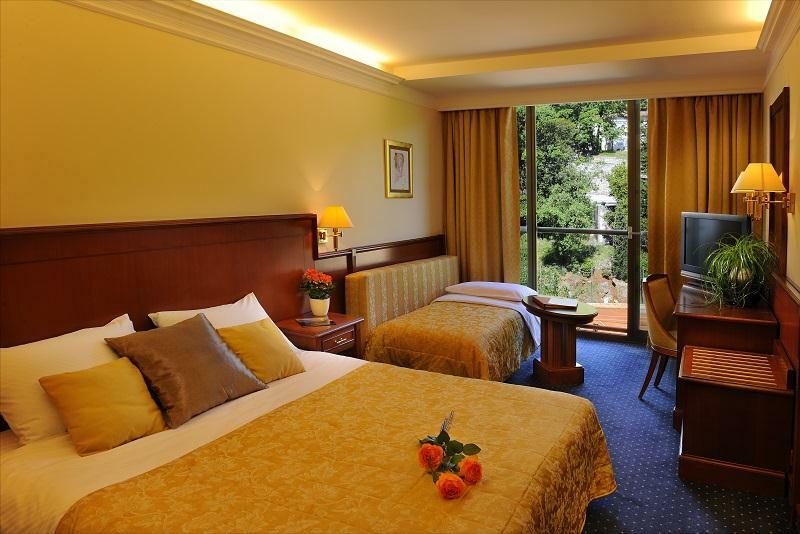 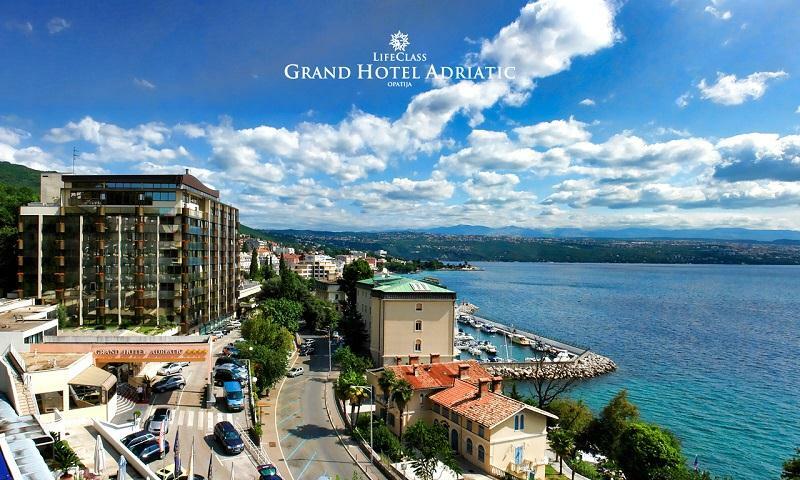 The Grand Hotel Adriatic in Opatija is located very close to the town centre, above the famous coastal walking path, the Lungomare, and from it extends a beautiful view over the Kvarner Bay. 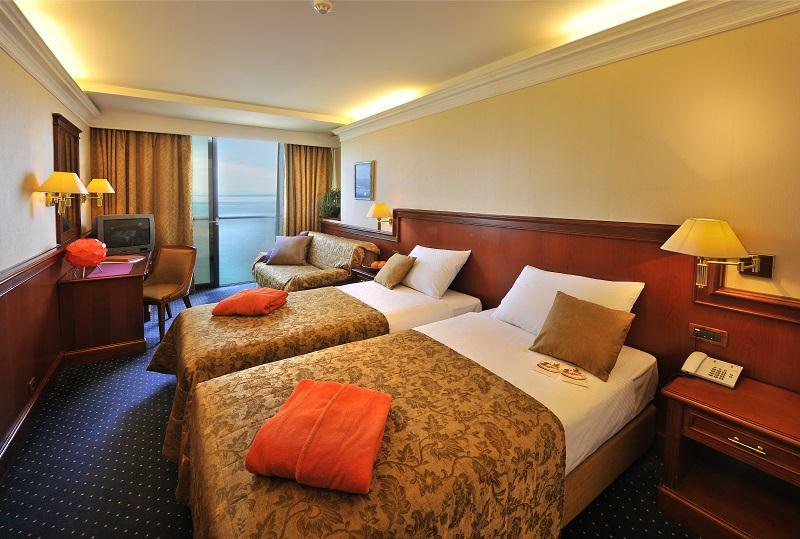 Under one roof excellent accommodation can be found in superior (4*) and standard (3*) rooms, relaxation and entertainment at the attractive health and beauty centre or in the Casino, there is also an excellent gastronomic offer as well as a very successful history of organising demanding congresses and meetings. 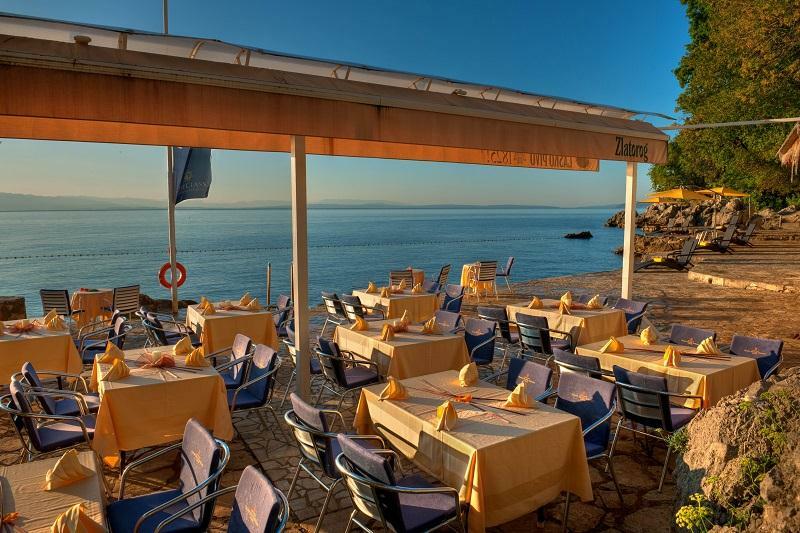 During the summer months, guests have the hotel’s stoney beach with a rich offer of food and drinks in the “Beach Garden” restaurant. 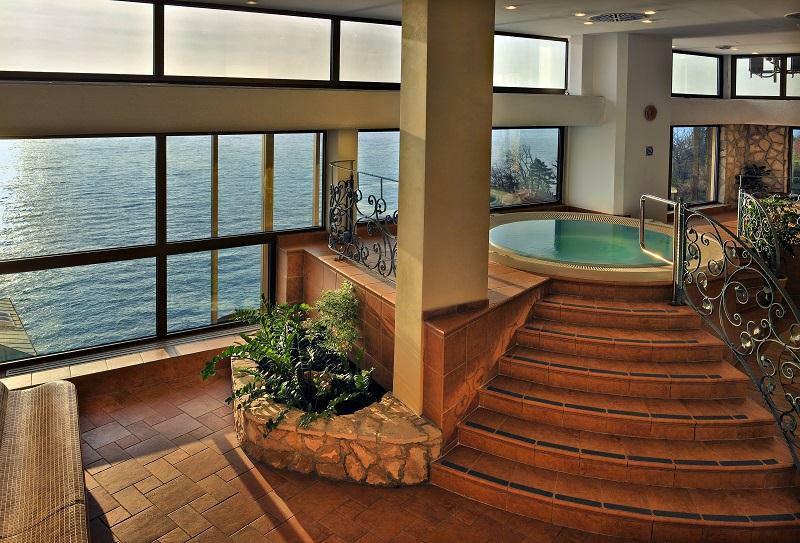 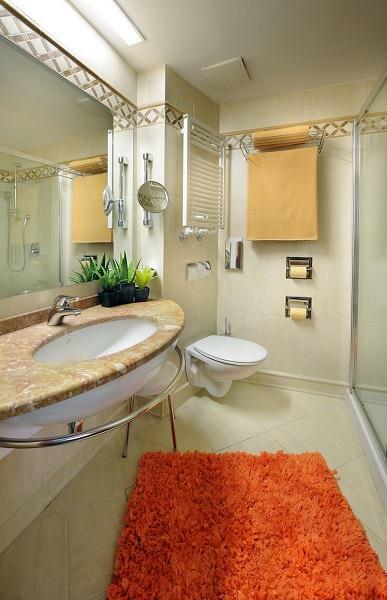 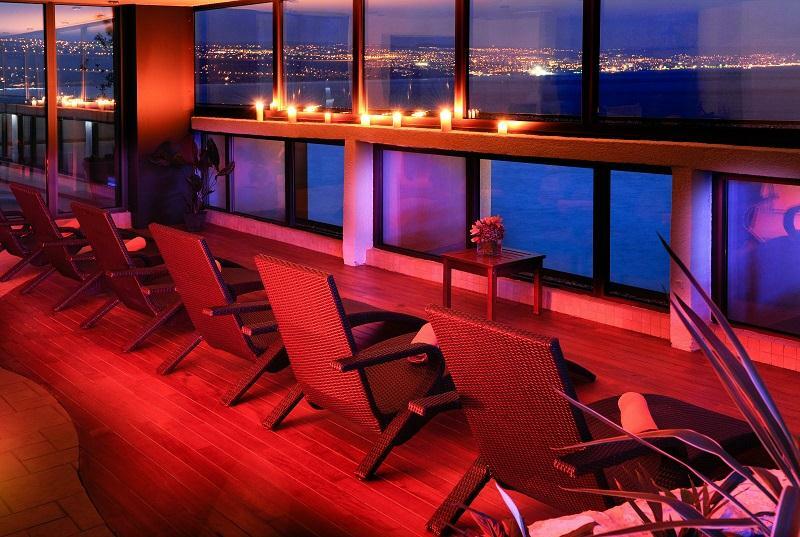 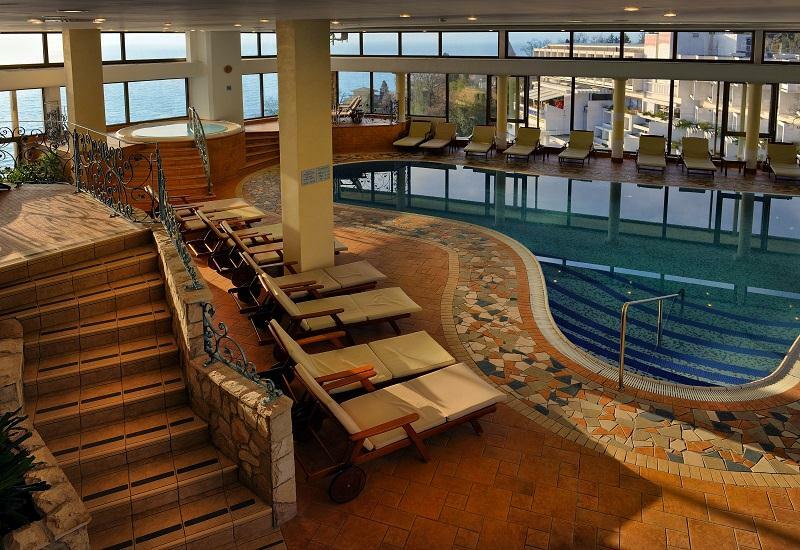 The Spa centre, one of the most beautiful in Opatija, is located on the 8th floor of the hotel. 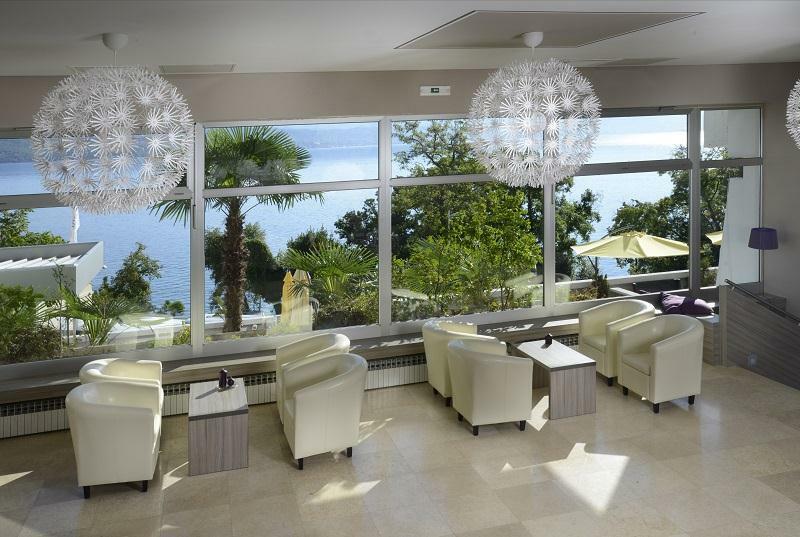 What makes it special is the beautiful view over the Kvarner Bay and its islands. 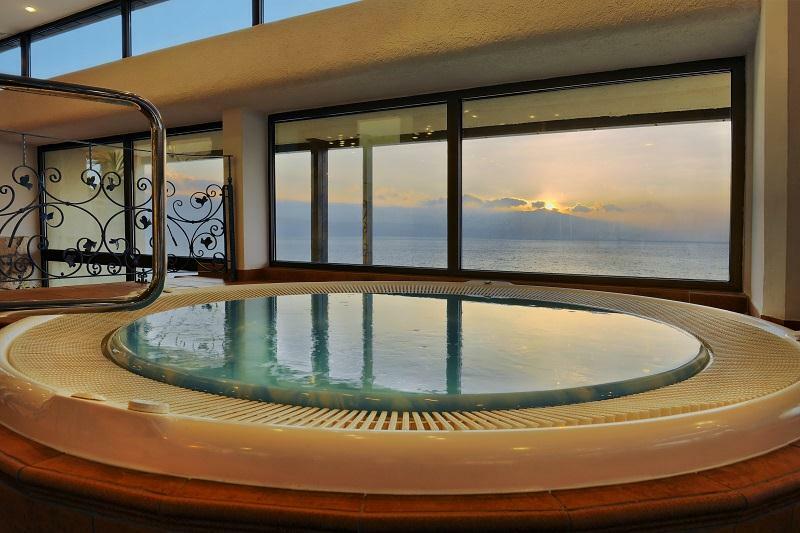 Enjoying the pool with its hot sea water, Turkish bath, Finnish sauna, whirlpools…the sunset becomes priceless! 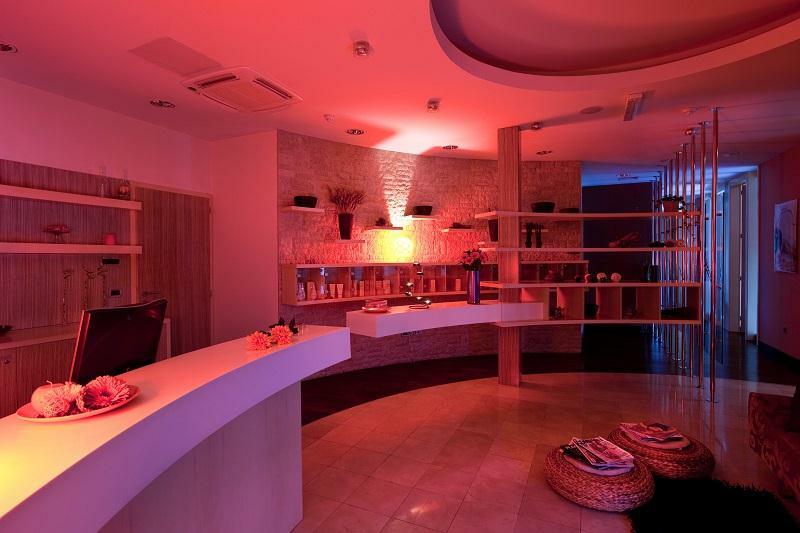 On the hotel's ground floor, the recently furnished Wellness & Beauty Centre offers treatments such as massages and anti-age treatments with collagen and hyaluronic acid. 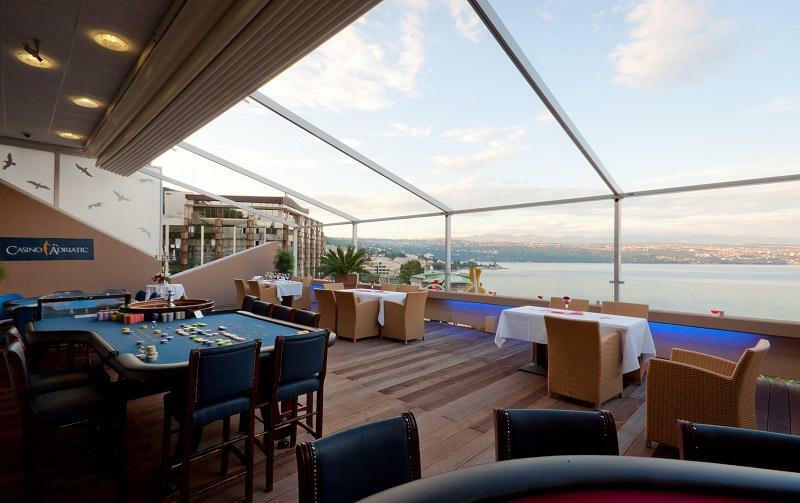 The Casino “Adriatic” offers traditional games and entertainment as well as slot machines. 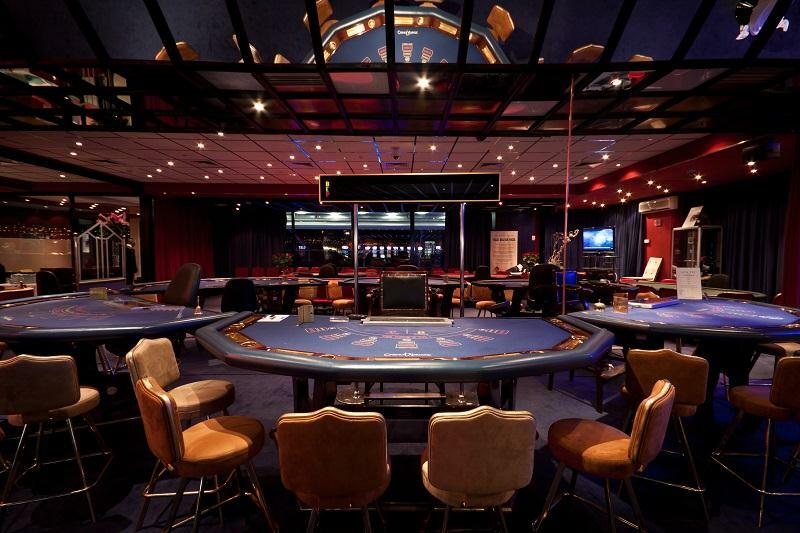 Generations of players can enjoy playing American Roulette, Black Jack, Caribbean Stud Poker, Punto Banco and, of course, the current, most famous game, Texas Hold’em Poker. 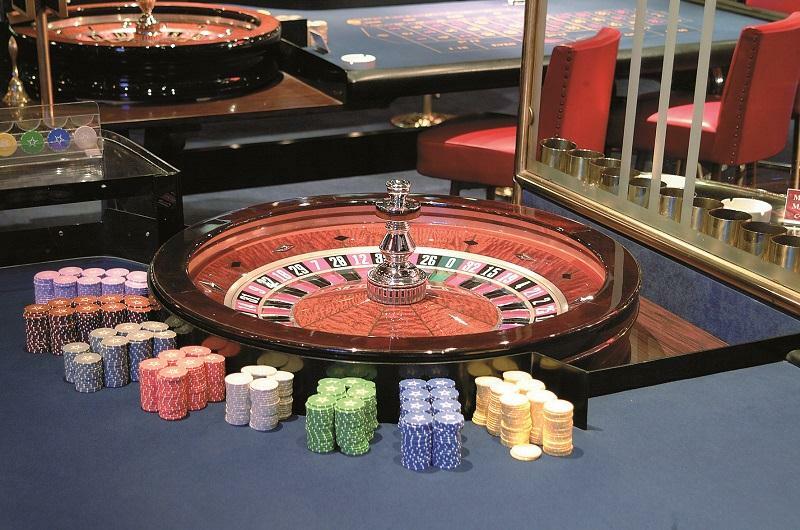 Playing on one of the 90 slot machines and electronic roulette produced by respectable manufacturers, offers players the possibility of winning a number of jackpots. 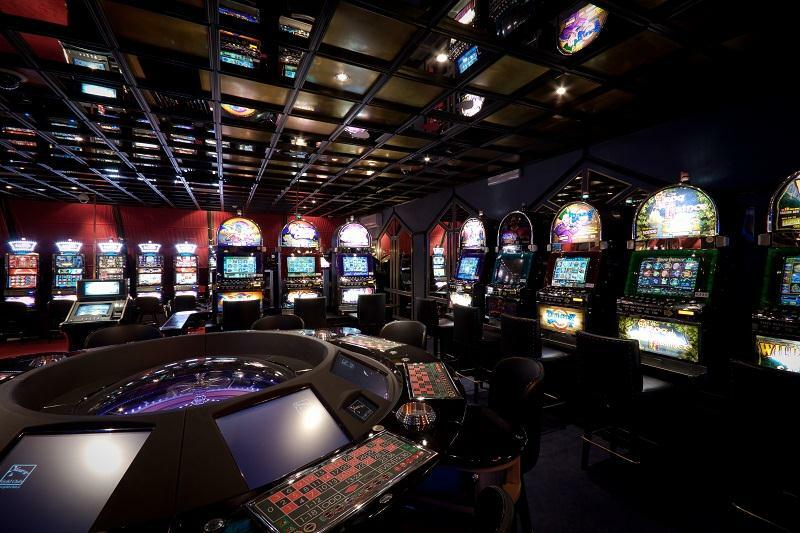 Check out why are we the leading casino in the region! 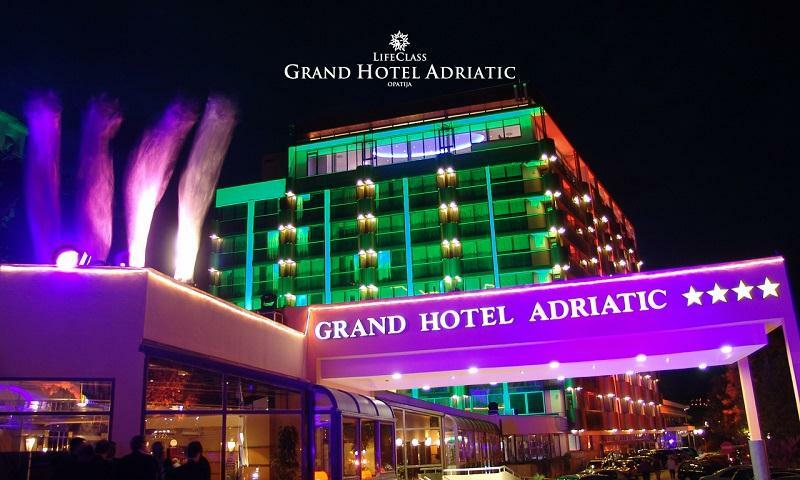 The Grand Hotel Adriatic is the hotel with the longest tradition in congress tourism on the Croatian coast of the Adriatic. 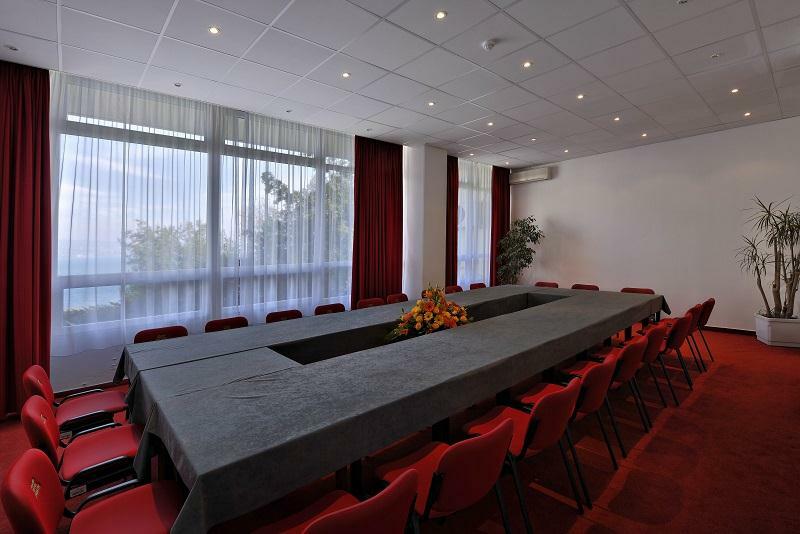 The congress centre disposes of a total of 8 halls (from 15 to 500 places). 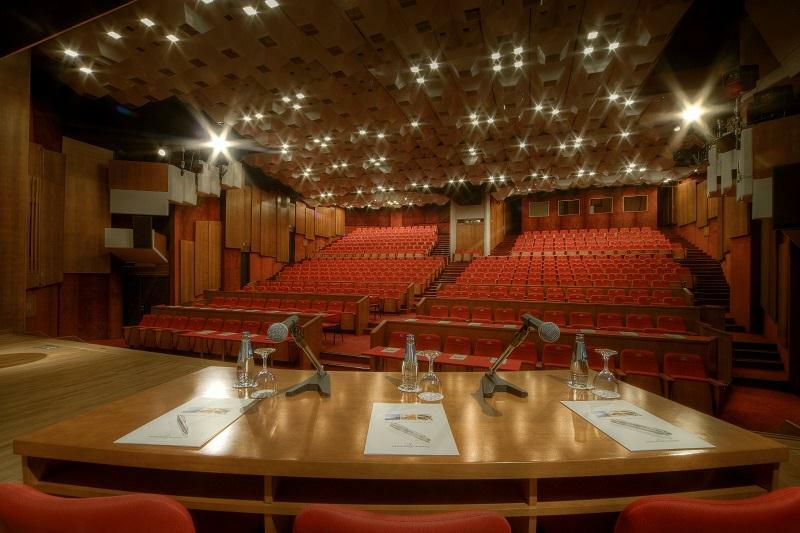 As well as this, there is the big congress hall for holding concerts and business reunions and it is also suitable for music performances and theatre shows too. 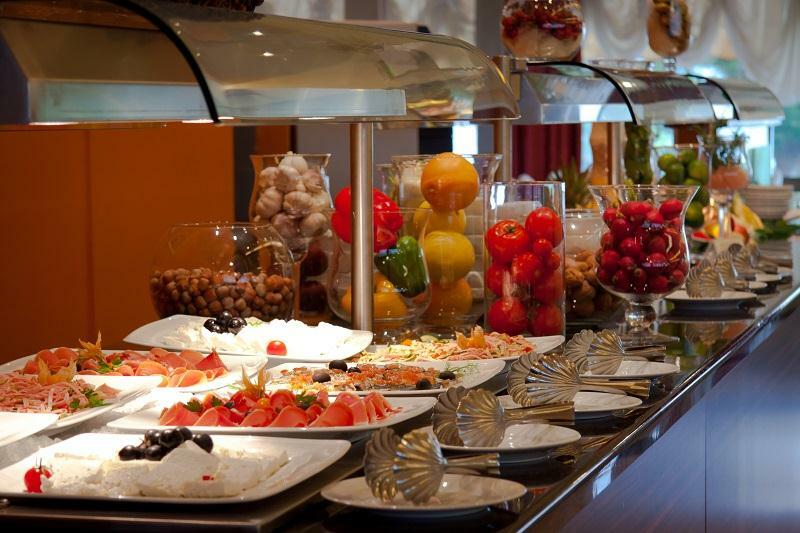 The Café & Restaurant “Nimfa” offers international gastronomic specialties as well as specialties of coastal and other regional Croatian cuisines. 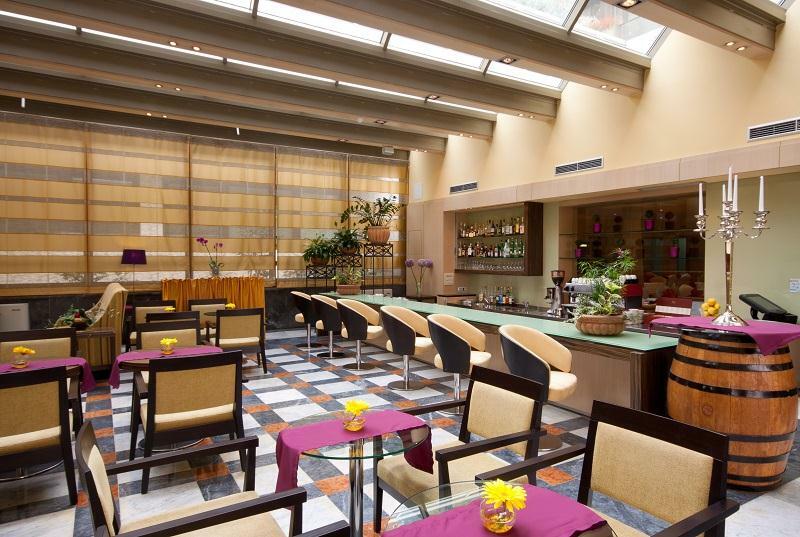 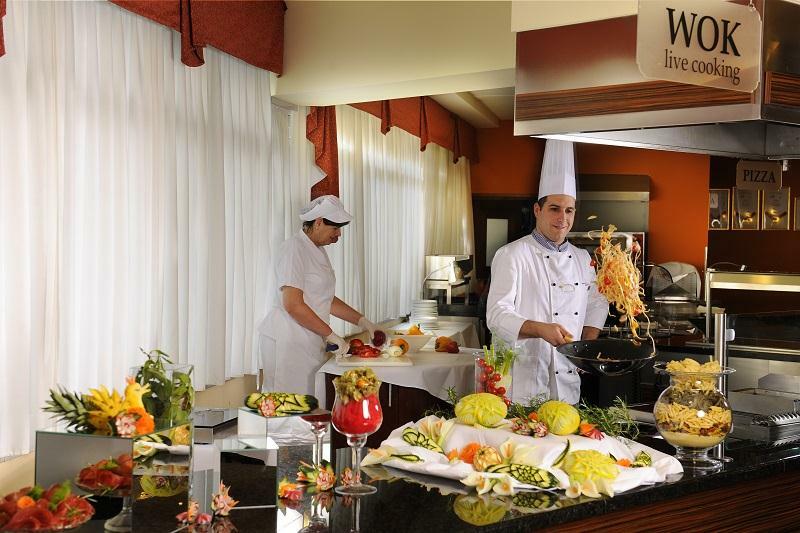 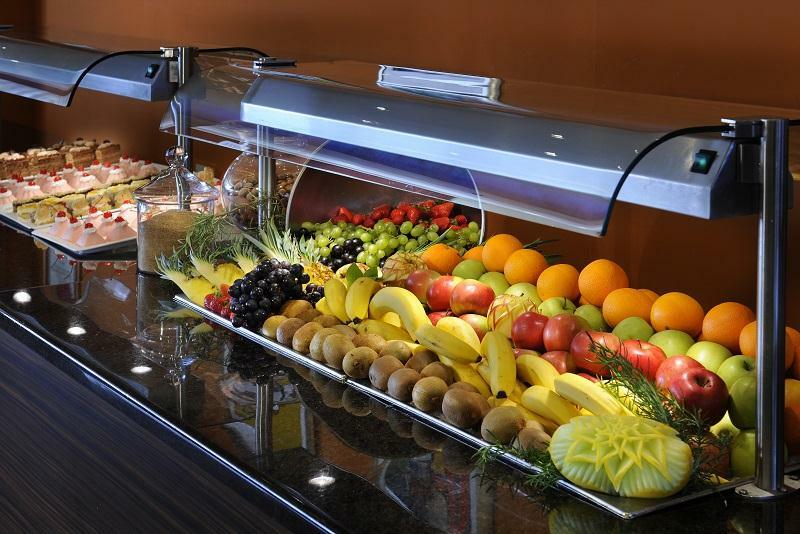 It also offers vegetarian cuisine and dietetic menus and can adjust to your special wishes and needs at all times. 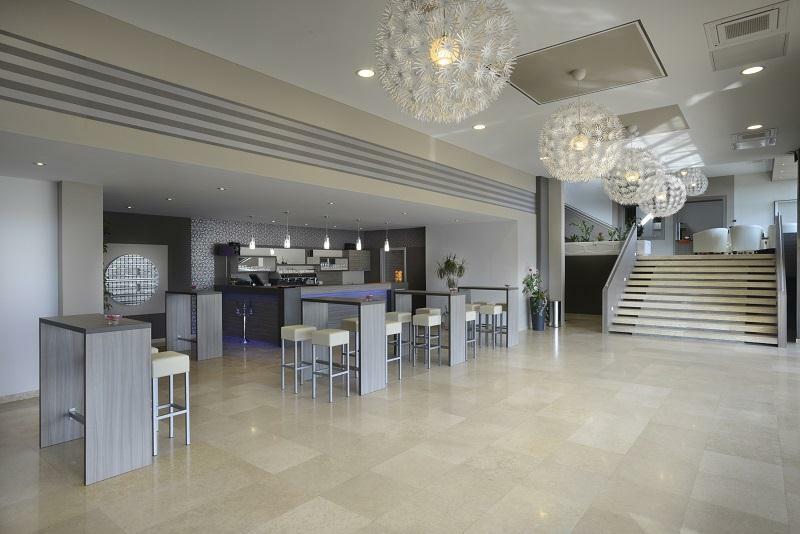 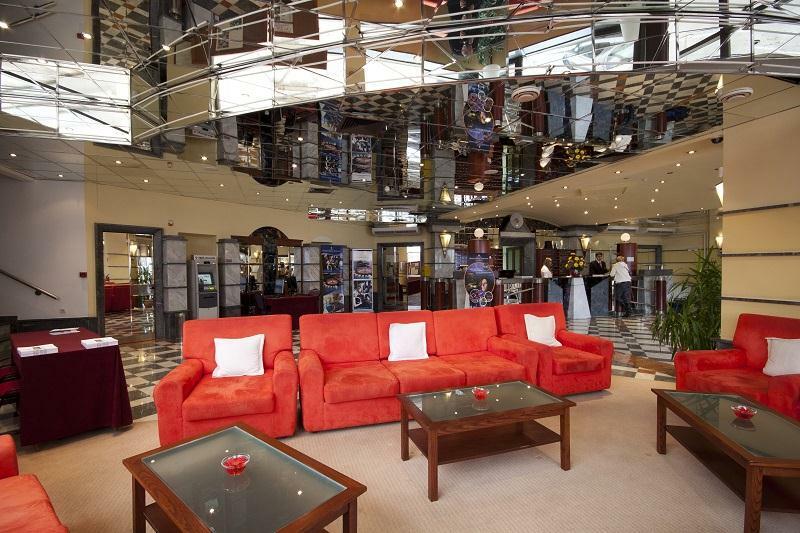 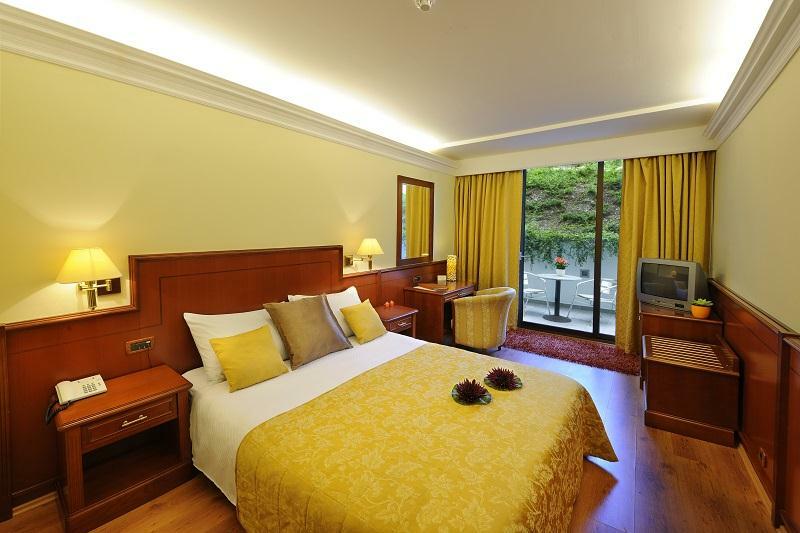 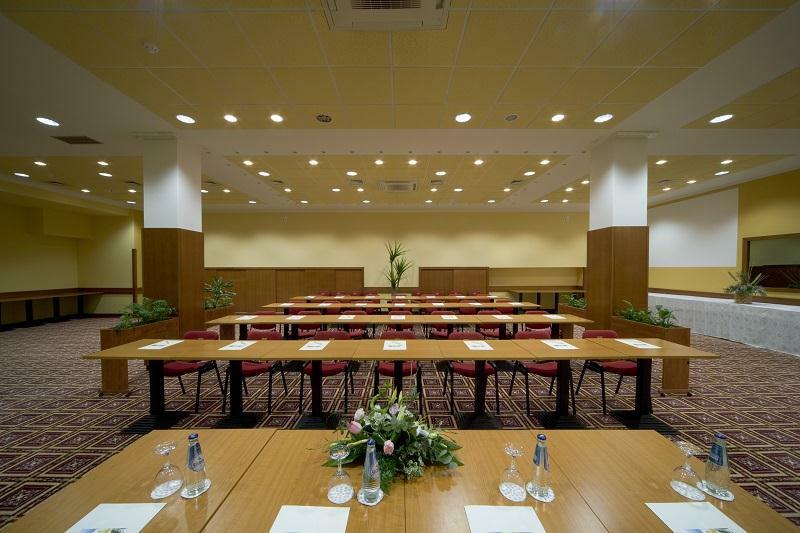 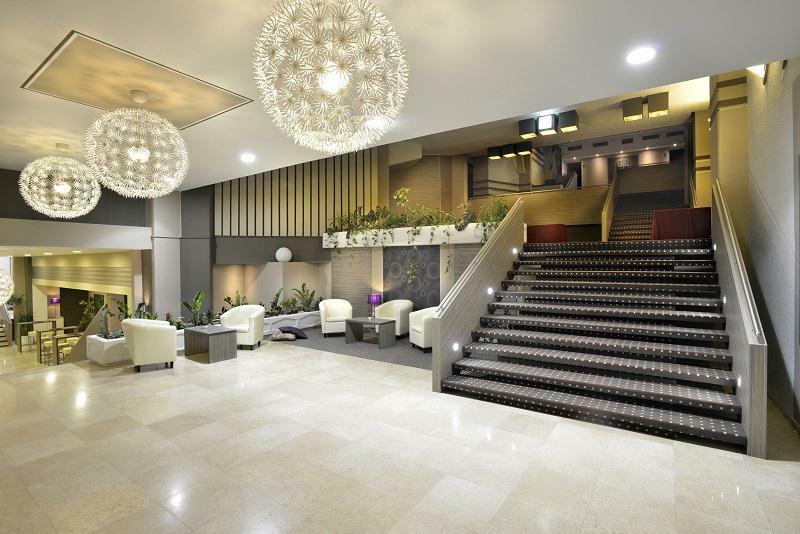 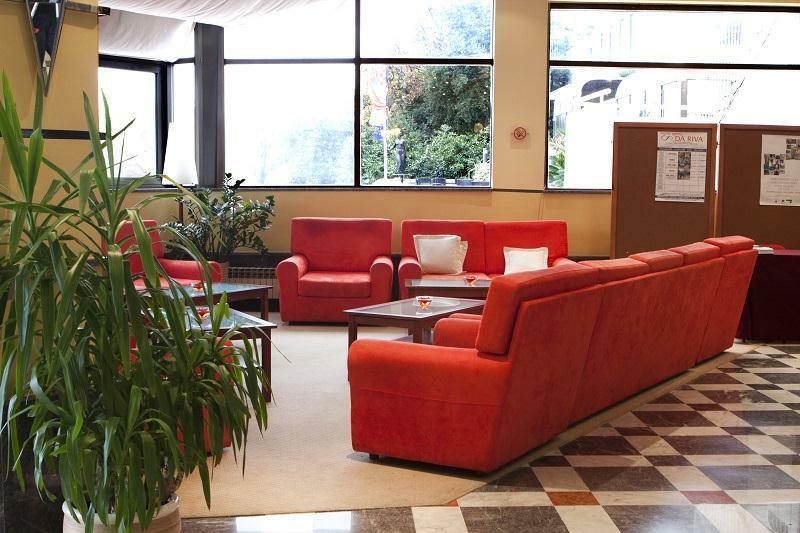 There are other rooms within the hotel for the organisation of weddings which can host up to 500 guests. 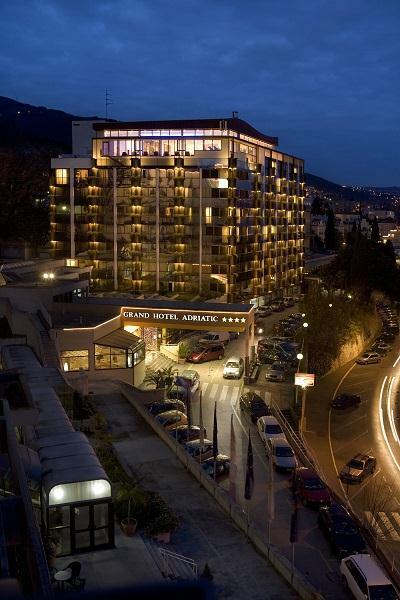 Unser Urlaub im Grand Hotel Adriatic **** war einfach ein Traum. 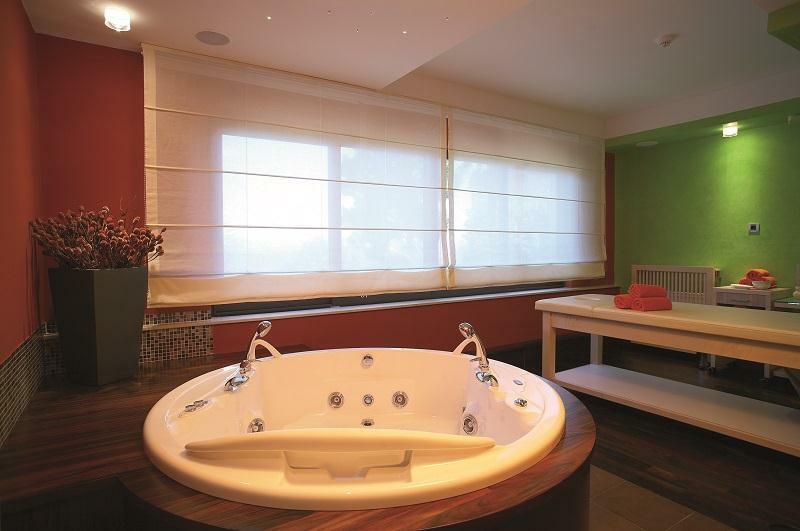 Bereits seit der ersten Minute bis zur Abreise war alles bestens. 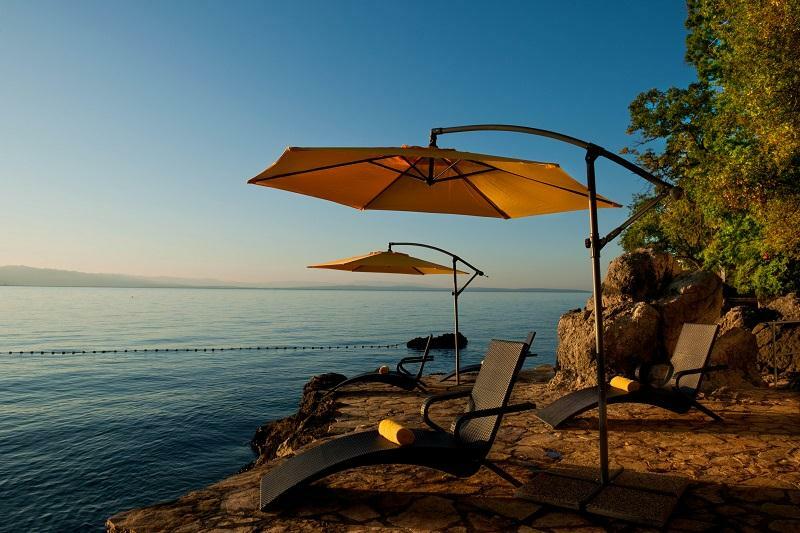 Wir werden Opatija bzw. 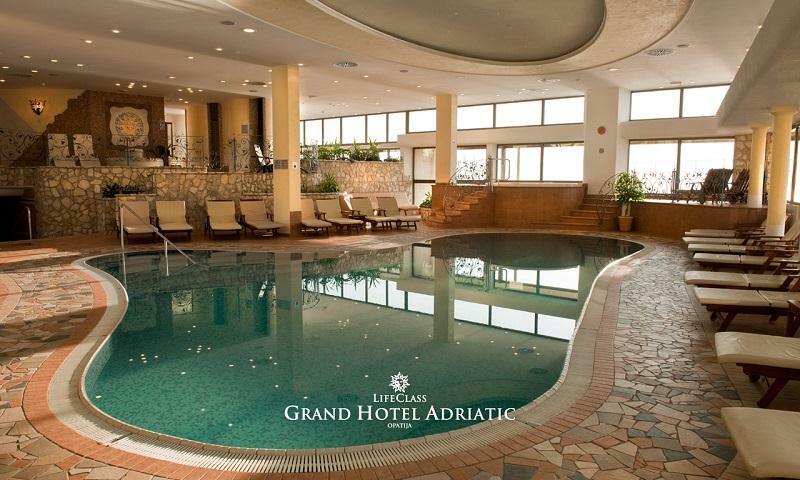 dass Grand Hotel Adriatic nur weiter empfehlen! 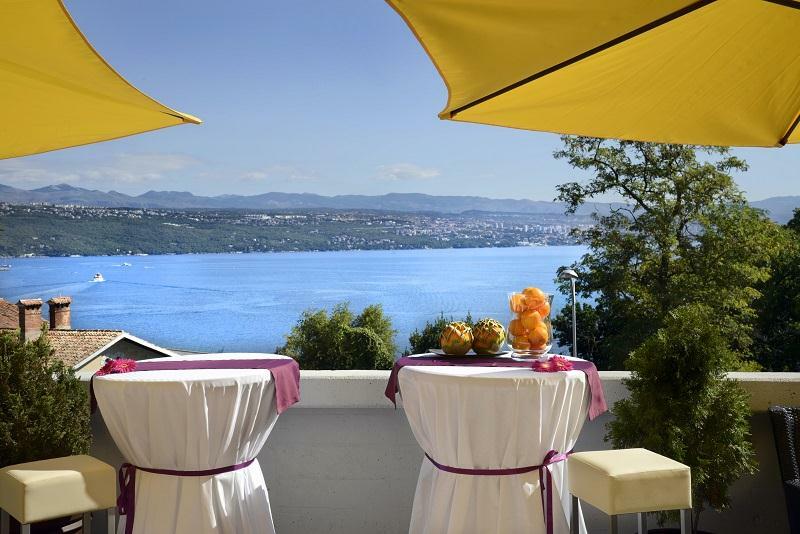 Ihr Reisebüro Mediteran Adria bietet einfach ein tolles Service an. 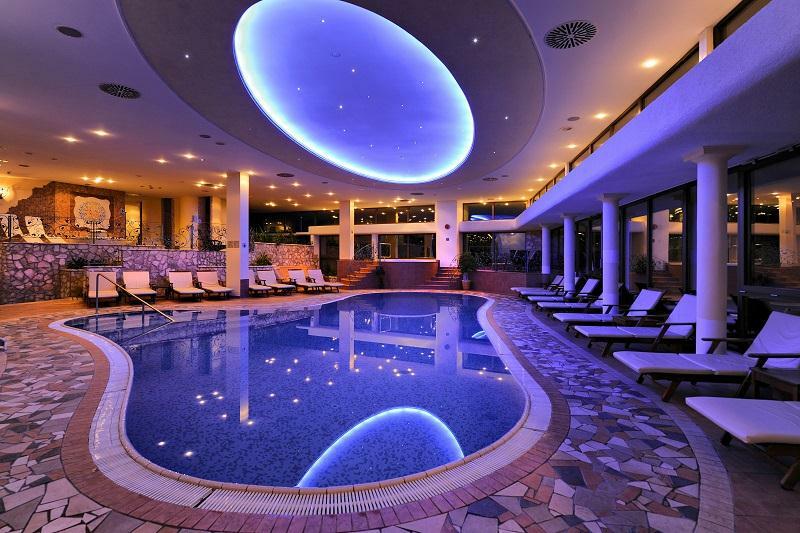 Freuen uns bereits auf das Jahr 2013. 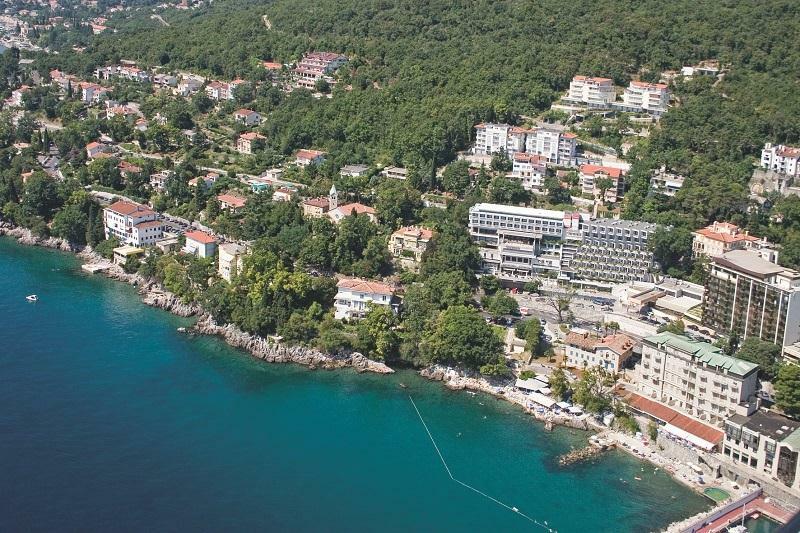 Usluge Mediteran Adrie preporučit ću svima! 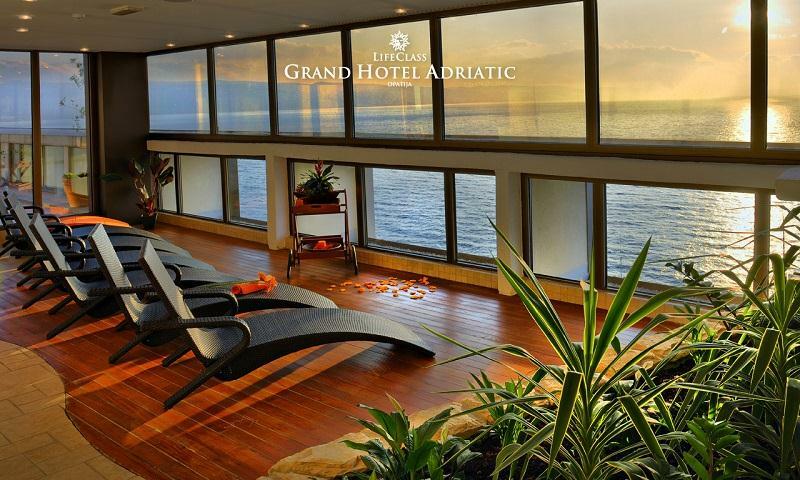 Grand hotel Adriatic je prekrasan, osoblje je vrlo ljubazno i susretljivo, a hrana je vrhunska. 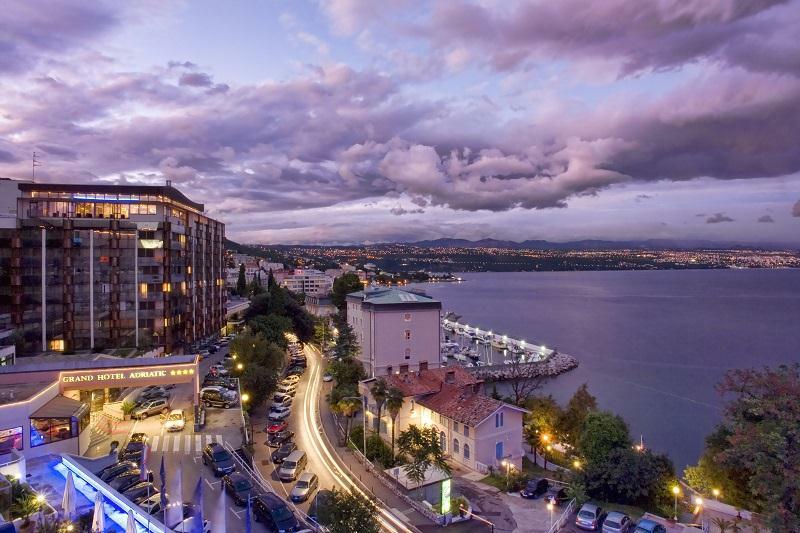 Vikend u Opatiji donio mi je najljepše uspomene! 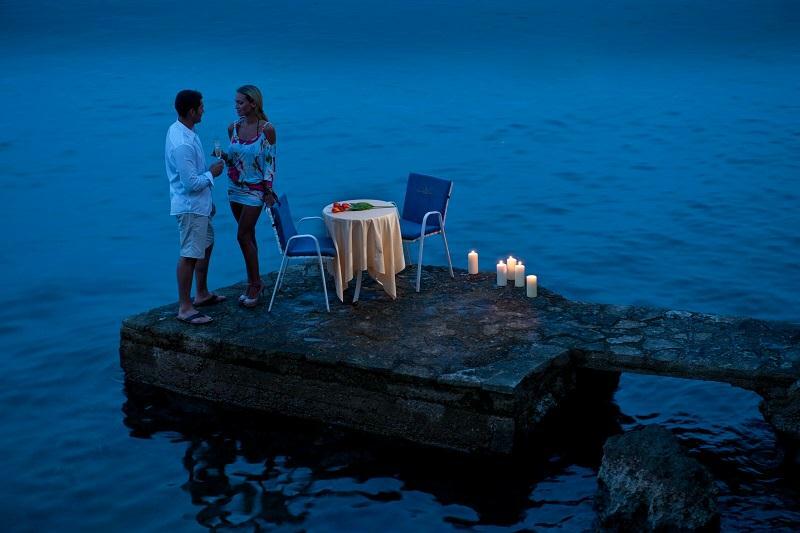 Ukoliko bude prilike, vraćamo se opet! 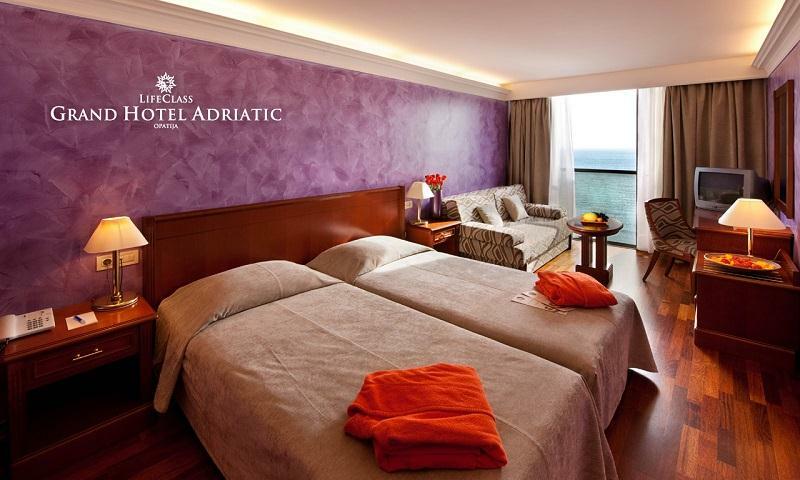 Adriatic I - newly renovated SUPERIOR rooms offering all top-quality conveniences. 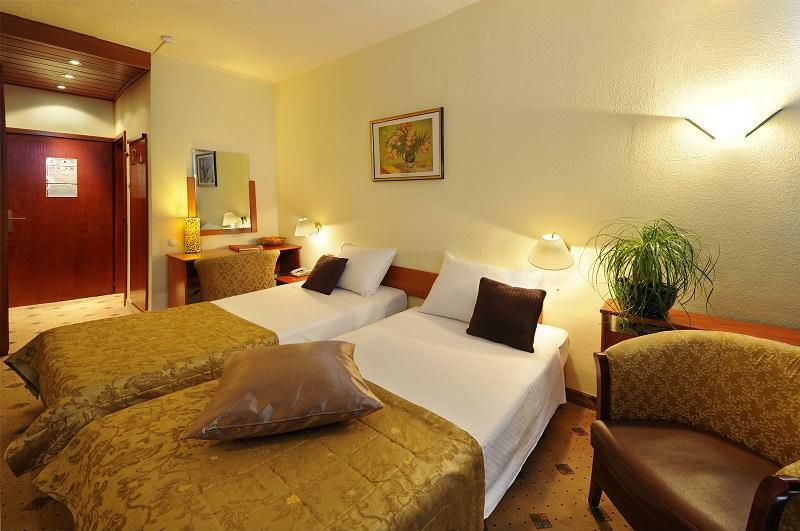 Rooms with air-conditioning, shower/toilet or a bathtub/toilet, SAT/TV, cabel TV, mini-bar, safe, hairdryer, direct telephone line and Internet connection. 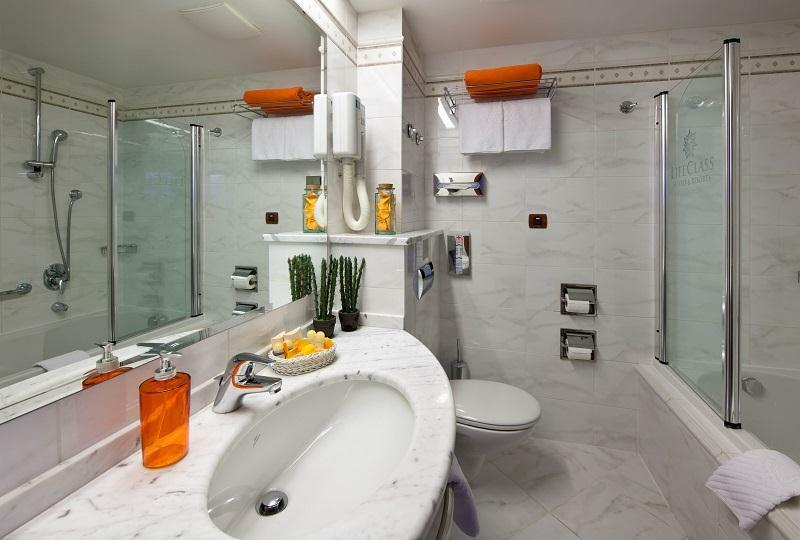 Adriatic II - comfortable and air-conditioned STANDARD rooms, shower/toilet or a bathtub/toilet, SAT-TV, Cable TV, mini-bar, safe, hairdryer, direct telephone line and Internet connection.